is one of the oldest buildings of Lake Orta. 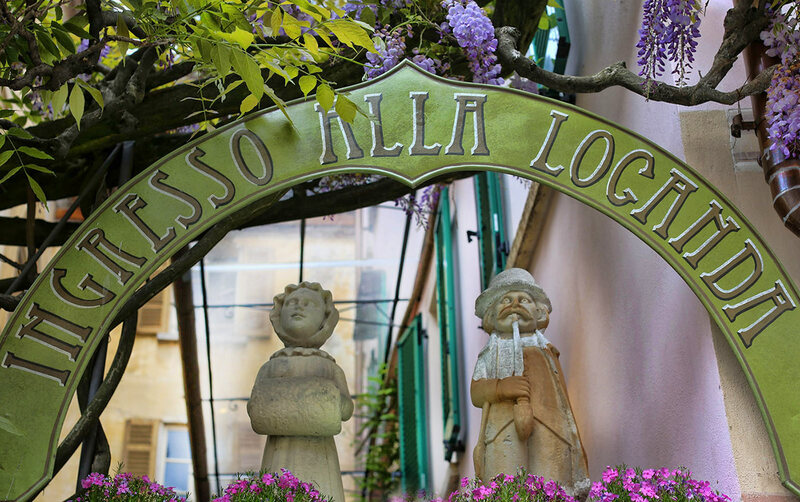 It overlooks the picturesque Piazzetta Ragazzoni, in Via Olina. For generations the historic home has welcomed and welcomed travelers visiting the medieval village with cordiality and a tasty dish. The meeting place for artists, including well-known writers, directors and painters of national and international fame, since 2012 has a new young and dynamic management that, while following the tradition, invites to the pleasure and lightness of the contemporary. The careful renovation project, with a lot of artistic skill, has kept its ancient charm intact, giving the environment a fresh and elegant look. The unmistakable style of design favors colors, shapes and natural materials, enhancing the six rooms and three junior suites, the indoor gourmet restaurant and the bistro on the terrace. In addition to a couple of secluded tables in the beautiful wine “crotta”.